Following a series of previews, Infiniti has fully revealed the Q60 concept set to premiere this week in Detroit. 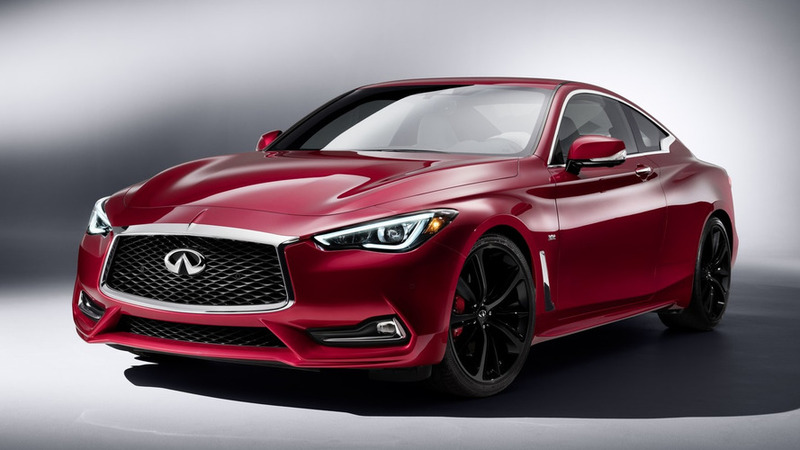 Serving as a "precursor to a high-performance sports coupe", the sleek and elegant two-door fastback draws its styling cues from the Q80 Inspiration concept such as the low roofline and high-tech LED headlamps while the lower front fenders, intakes and exhaust pipes are derived from the Q50 Eau Rouge. The vehicle is 4690mm long, 1865mm wide and 1370mm tall and according to Infiniti its angular exterior is reminiscent of a Formula 1 car. On the inside it gets premium materials including a leather-wrapped black & white instrument panel and door inserts together with a double hand-stitched leather-covered steering wheel. A variety of leathers such as were used to cover the seats which have bolsters for added side support. Even the rear passengers get bucket seats as a way to enhance the "holistic premium environment" of the concept. Its heart and soul is a newly developed V6 3.0-liter twin-turbo engine benefiting from direct injection which delivers "exceptional performance" and is sourced from the aforementioned Q80 Inspiration concept. Infiniti says it is part of a new range of smaller, lighter and more efficient engines which will arrive on production models within the next two years. 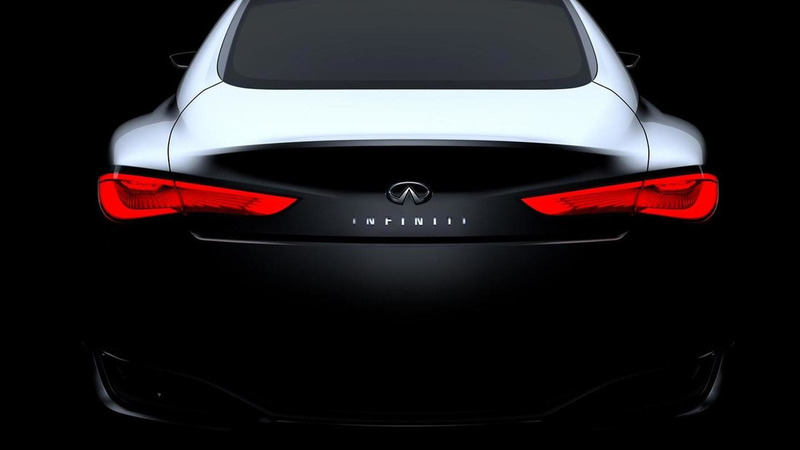 The Infiniti Q60 concept will be showcased at this week's North American International Auto Show (NAIAS) in Detroit.